Springfield News-Leader (Springfield, MO) write-up on TheGive5.org. 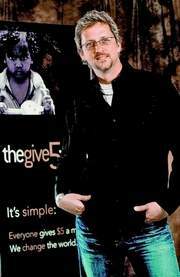 Springfield, Missouri's News-Leader just published a great article on TheGive5.org. You can check it out on their website at the following link: http://bit.ly/h05gV. To share, just use the "share" feature below, or visit the article on the News-Leader's website and share the article directly.